Special CD/DVD edition of the trumpeter's 2009 live release includes a bonus DVD that includes a two hour concert plus a . 40-minute Behind-The-Scenes bonus. 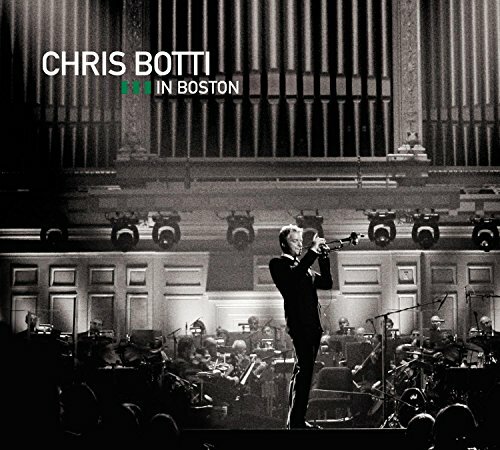 Chris Botti In Boston finds the chart-topping Jazz trumpeter and special guests performing live at the historic Boston Symphony Hall with Keith Lockhart and the Boston Pops on September 18 and 19, 2008. Includes guest appearances from Josh Groban, Yo-Yo Ma, John Mayer, Katharine McPhee, Sting, Lucia Micarelli and Steven Tyler.